2014 June: Updated!! Review included! Gift Ideas to Help Dad Feel Young and Cool Updated!! Review included! This year for Father’s Day, ditch the traditional “#1 Dad” coffee mugs and upgrade to a more sophisticated coffee-inspired grooming product, which will make dad feel young and cool again. Fan-favorites of both men and women—just in case dad wants to share—the following nyakio products are perfect for the caffeine-addicted dad! 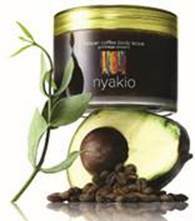 Irritating Razor Burn: Avoid rashes and razor burn by properly exfoliating the skin with nyakio Kenyan Coffee Face Polish, $34. This unique fusion of Kenyan coffee extract, jojoba and natural oils will help remove dead skin cells and bring potential ingrown hairs out of hiding. Abrasive Dead Skin: Most men don’t think about the health benefits of proper body exfoliation and hydration. Dad can actually enjoy exfoliating dull skin with nyakio Kenyan Coffee Body Scrub, ($55)—the scrub is made with Kenyan coffee beans to awaken skin and leave it feeling smooth and moisturized! Please see below for more information about the nyakio products. I will be reviewing soon so stay tuned! Update!! I received samples of both products and the verdict is in! My husband loves them especially the nyakio Kenyan Coffee Face Polish. I can also honestly say that it leaves his face softer and smoother too! Self Disclosure: No compensation has been received to post but I will be receiving free products to review later this month. Credit: nyakio. Free samples were received to review. Electric Vehicle (EV) drivers will soon be able to plug in and charge their cars while they shop or grab a bite at four of Orange County’s premier retail destinations. Simon, a global leader in the retail real estate industry, and NRG eVgo (ee-vee-go), a subsidiary of NRG Energy, Inc., announced today the installation of new electric car fast-charging Freedom Station® sites that can recharge shoppers’ vehicles in 30 minutes or less at four Orange County Simon shopping centers: The Shops at Mission Viejo, Brea Mall, Westminster Mall and The Outlets at Orange. The Shops at Mission Viejo’s Freedom Station is now open, and is located in the parking lot between Forever 21 and P.F. Chang’s China Bistro. Brea Mall is looking to open its Freedom Station in early June, and will be located in the parking lot near California Pizza Kitchen, on the south side of the newly renovated center. The Freedom Station at Westminster Mall is expected to open in mid-June, and will be located in the parking lot near DSW, between Sears and JCPenney, on the northeast side of the mall. The Outlets at Orange’s Freedom Station opened in April, and is located in the parking lot near Neiman Marcus Last Call and Burke William’s Day Spa. Simon is a long-time real estate leader in energy management and sustainability practices, including initiatives to measure and reduce overall energy consumption, water consumption and greenhouse gas emissions. Supporting the needs of energy conscious consumers is also part of Simon’s sustainability strategy. Shoppers can plug in to 126 electric vehicle charging stations located at 65 of Simon’s shopping destinations in 16 states. That includes the first of its kind public EV charging station in the country to support all EV models, which was installed at Simon’s Fashion Valley Mall in San Diego last fall. The eVgo Freedom Station sites at Simon’s Orange County shopping centers are designed to support both current and future charging technology, by serving southern California EV drivers’ on-the-go charging needs regardless of what kind of electric vehicle they drive. The stations currently support CHAdeMO direct current (DC) fast charging, as well as standard alternating current (AC) J1772 Level 2 EV charging and can be upgraded with an SAE Combo charger as more EVs with that charging standard become available. eVgo is building electric vehicle charging networks across the San Francisco Bay Area, San Joaquin Valley, Los Angeles Basin and San Diego area. As more Freedom Station sites are built and the network is established, EV drivers will have access to hundreds of public fast-charging sites along with Level 2 charging stations at homes, offices, multi-family communities, schools and hospitals across California. For more information, visit simon.com or nrgeVgo.com. 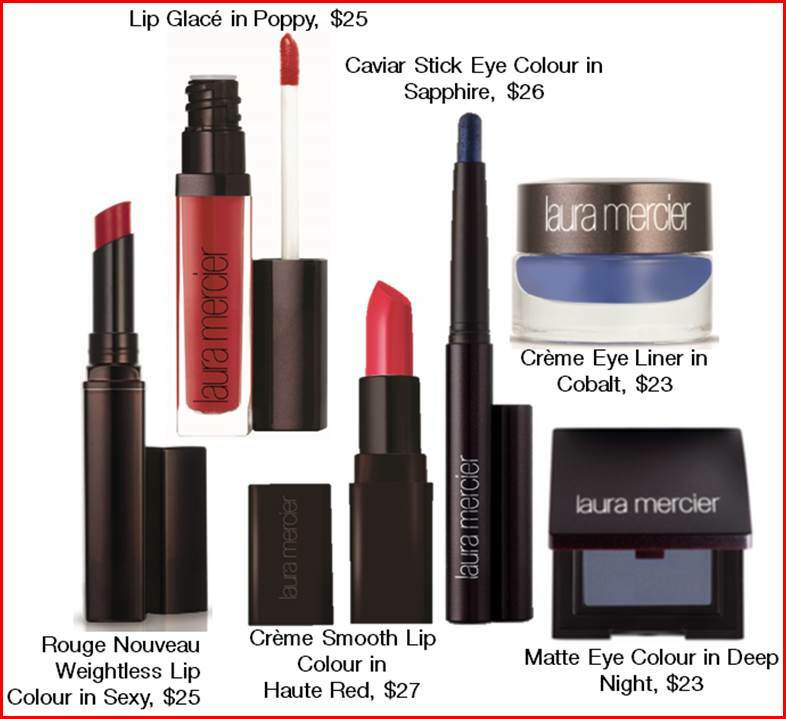 Check these out and many other products at Lauramercier.com. Turtle Shell® – Bluetooth Speaker Great Quality and great wireless audio! Looking for a great wireless speaker? The Turtle Shell is my favorite! It is high quality and the sound is just great! I was impressed with how loud this little speaker could be. It’s not that little, but the sound just blew me away! It is also Shock proof, water resistant and comes in a variety of colors (White, Black, Electric Blue, Red, Sea Foam Green, Purple, Orange and Green). It retails for $129.95. 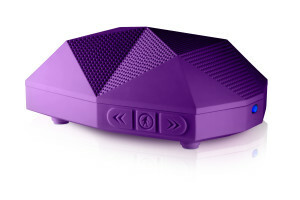 I just love this Turtle Shell 2.0 Rugged Wireless Boom Box! You can wirelessly connect to devices such as your iphone! Did I say it is loud? Of course, you don’t have to play it loud! I am just impressed with how loud it can be. You can also purchase the Turtle Claw Bike & All Purpose Mount and attach it to your bike. It is not included but you can buy it separately. Check out Outdoor Tech.com for this and other great products. Self Disclosure: I received a free product to facilitate this post but any opinions expressed are honest and my own. Every day—whether it’s sunny or cloudy, summer or winter—millions of Americans make the conscious decision not to wear sunglasses or other UV-protective eyewear. While seemingly harmless, this habit carries several serious vision risks, many of which are not known or understood by those who fail to wear protective eyewear. The problem originates with the sun’s unfiltered ultraviolet (UV) rays. Just as these rays can burn and damage skin cells, they can also harm unprotected eyes. A full day outside without protection can cause immediate, temporary issues such as swollen or red eyes and hypersensitivity to light. Years of cumulative exposure can cause cancer of the eye or eyelid and accelerate cataracts, which affect nearly 22 million Americans age 40 and older. The solution to such problems is the constant and consistent use of sunglasses or other UV-protective eyewear when outdoors. Unfortunately, the majority of Americans don’t heed this important recommendation. The Vision Council’s 2014 Sun Protection Survey found that 27 percent of adults rarely or never wear sunglasses when outside. An equal percentage report that they always wear sunglasses outdoors. In the middle are 46 percent who said they wear sunglasses only when it’s sunny out—thus exposing their eyes to strong UV rays on cloudy or partially cloudy days. 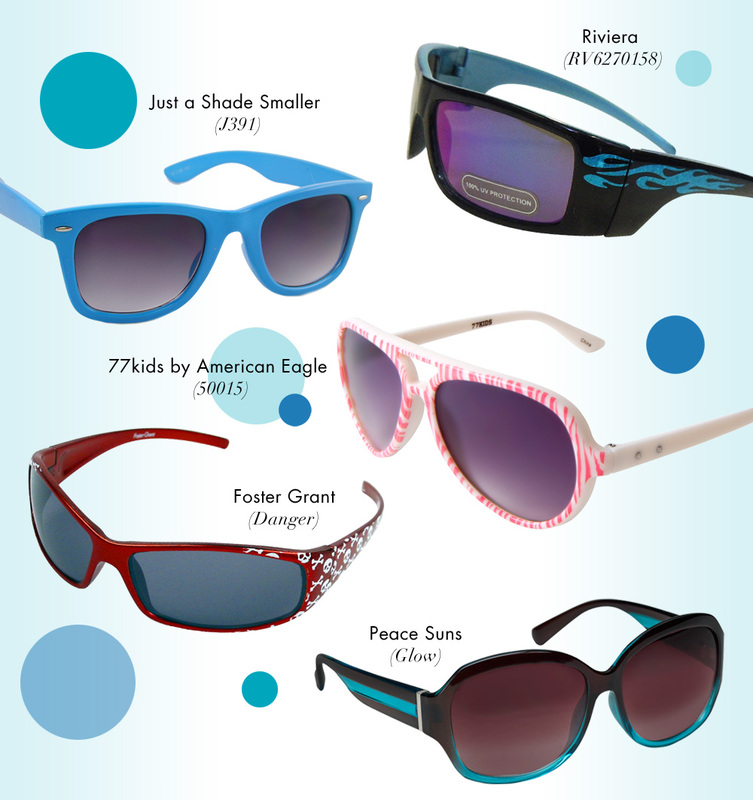 In 2013, The Vision Council also found that less than half of parents (48%) enforce sunglass use among their children, which exposes young eyes to damaging UV rays. Among those who were wearing sunglasses during the 2014 survey, 35 percent did not know if their shades provided UV protection. Nearly ten percent said that their glasses did not filter out UV rays. When it comes to taking care of eyewear, Americans again are found lacking. Only 27 percent of survey respondents who wear sunglasses store them in a case; the rest throw them loosely into handbags or on car consoles or counter tops. 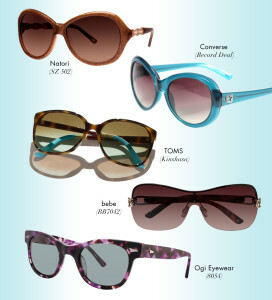 The resulting scratches and scrapes can obstruct UV protection and warp lenses and frames. The bottom line is that adults aren’t doing enough to protect their eyes from UV damage, and as parents, they aren’t providing their children with the knowledge and eyewear needed to prevent their own long-term vision impairment. The Vision Council, working in tandem with medical advisors and lens experts, developed this report to highlight the consequences of UV rays and provide recommendations and guidelines for purchasing using sunglasses for people of all ages. I recently had the opportunity to see an educational webinar about UV Safety for Young Eyes hosted by Dr. Dora Adamopoulos, a medical adviser to The Vision Council. I did find it interesting to learn that Children receive 3X the annual adult does of UV radiation & their eyes are more vulnerable to the UV. The guide has so many helpful tips and great advice! I actually learned a lot from reading it. Self Disclosure: I received a Sun Safe Swag bag which included sunglasses for free to facilitate this feature but also feel that this topic is of great importance. Thank you to The Vision Council for the information. Thank you to Baby Banz and Converse (Jack Purcell) for the sunglasses! Credit: The Vision Council. 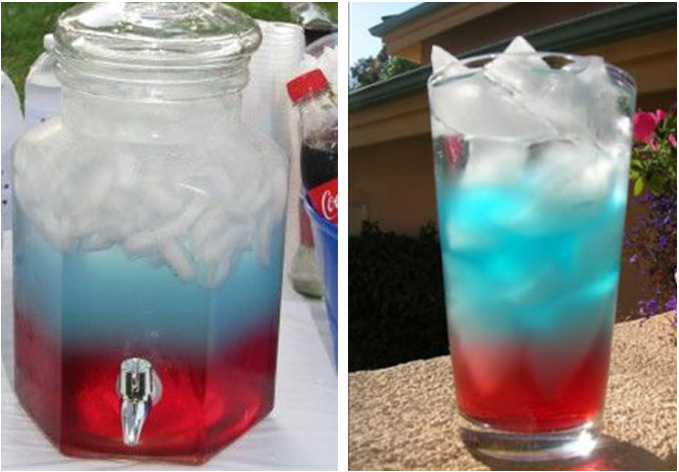 Planning 4th of July Party? Let Celebrate Express Help! 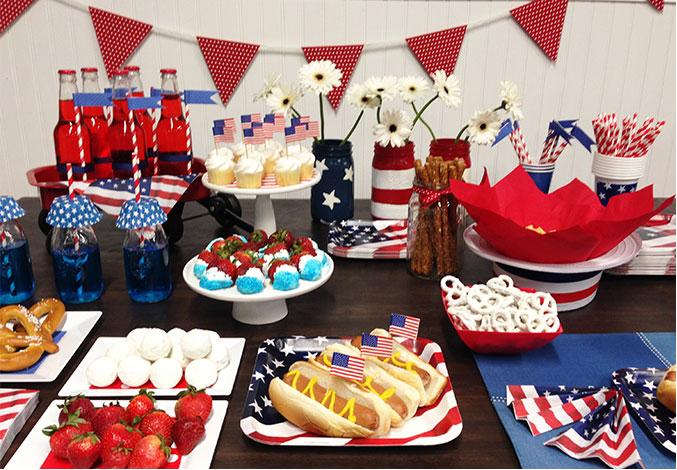 Here are some suggestions on decorations, supplies, and drink and food ideas! Self Disclosure: No products were received to facilitate this feature. Credit: Celebrateexpress.com. 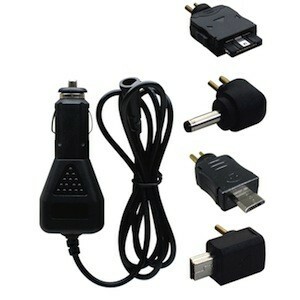 Looking for phone chargers and other great products and accessories for your smartphone and other devices? Bracketron is the place to look! 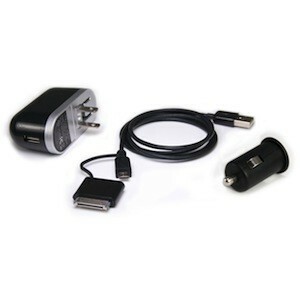 They have such a wide variety or products such as Universal USB Travel Power Kit and GPS & Smartphone Power Chargers. 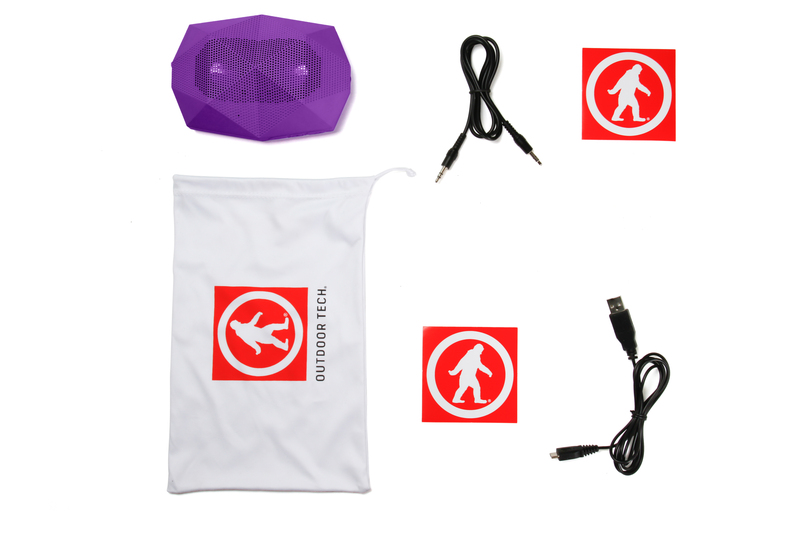 I really like the Universal USB Travel Power Kit because it is small and compact, which is just perfect for travel. It fits into any 12v or AC power port and there’s no need to carry multiple model specific chargers. This is just perfect for powering up a portable device practically anywhere. Retails for $39.95. I also received the GPS & Smartphone Power Charger which is great to charge your GPS or Smartphone while you drive. It has an Indicator and 4 ft power cord. I love this! Right now it is on sale for $9.95! But, I think my favorite is the Style-IT 2-in-1 which is just great for drawing and photography apps! 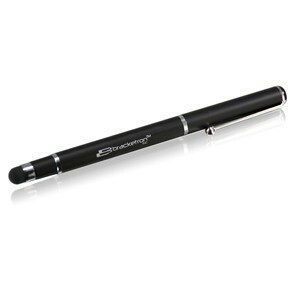 It can be used for multiple touch screen devices and has a built-in ballpoint pen for the times when you need to take notes. Find all these great products and many more at Bracketron. Self Disclosure: I received free products to facilitate this feature but any opinions expressed are truthful and my own. Michaels, North America’s largest arts and crafts retailer, will offer free and low-cost in-store crafting events for adults and children throughout the month of July, including Create2Educate – a free event for teachers with fun demos and giveaways to help inspire and prepare them for the new school year. Sunday July 13 │1-4 p.m.
Ready, set, create! Join us for the Travel Journal and Corkboard Event. Just purchase your supplies and meet in the classroom for some crafting fun. Projects include a mixed media journal and a corkboard, both with a travel theme. See a store associate for details today. Saturday July 19 │1-4 p.m. Learn to create easy DIY accessories with paracord. Just purchase your supplies and meet up in the classroom for some crafty fun. See a store associate for details today. Monday July 28 │6-8 p.m. Creating a personalized scrapbook can be easy once you know the basics. Learn to plan out your book, create visually pleasing pages, crop photos, journal and more. Supplies not included. See a store associate for details today. Tuesday July 29 │6-8 p.m. Learn to design your own do-it-yourself creations. Be introduced to everything you need to get started with the art of jewelry making including: crimping, wire looping, knotting, tool selection and more! Supplies not included. See a store associate for details today. Thursday July 31 │4-7 p.m.
Teachers, get inspired and start preparing for the new school year at Michaels’ Create2Educate event. Get great organization ideas along with classroom project demos and lesson plans. The first 25 attendees at each store will receive a school year survival kit with lesson plans, product samples and more, and one lucky attendee will win a $25 Michaels gift card. See a store associate for details today. Create yummy summer fun at the Summer Ice Cream Perler Event. Just $2 per 30-minute session (includes supplies). Ages 3 and up are welcome to this event. See a store associate for details today. July 12 │ 10-12 p.m. Create a special place for your summer keepsakes at the Summer Souvenir Treasure Box Event.Just $2 per 30-minute session (includes supplies). Ages 3 and up are welcome to this event. See a store associate for details today. July 19 │ 10-12 p.m.
Mount a fun toy bug on a miniature plaque that you decorate yourself at the Fun Bug Display Mount Event, powered by Toobs®. Just $2 per 30-minute session (includes supplies). Ages 3 and up are welcome to this event. See a store associate for details today. Let your creativity bloom while you learn to paint a textured flower on canvas at the Summer Wildflower Painting Event. Just $2 per 30-minute session (includes supplies). Ages 3 and up are welcome to this event. See a store associate for details today. 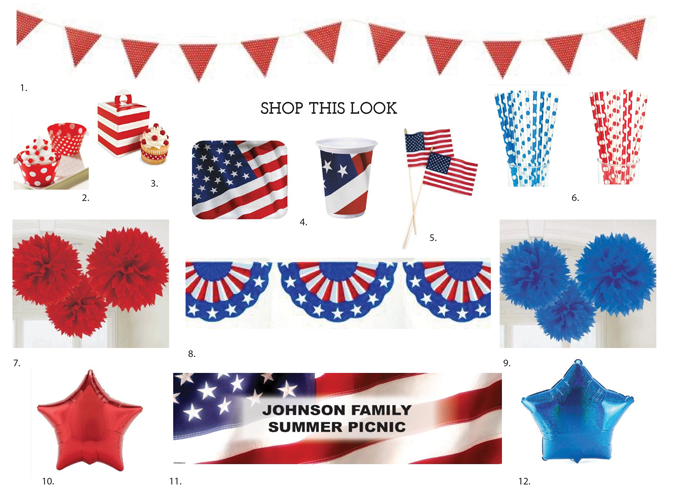 Embrace summer style at Michaels. Make a must-have, one-of-a-kind DIY key chain or bracelet at the crafty Summer Keychain and Bracelet Event. Just $2 per 30-minute session (includes supplies). Ages 3 and up are welcome to this event. See a store associate for details today. Self Disclosure: No compensation was received to post. Credit: Michaels.